Bottle cap must be tightened properly otherwise the cap may leak or if tightened too much, the cap may be damaged. The cap seal should also be designed to break open only at a specified torque. For checking these specifications, a digital Opening Torque tester is required. 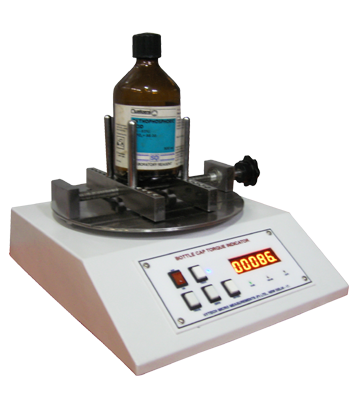 "DIGITAL BOTTLE CAP TORQUE TESTER" is a specially designed system, manufactured & supplied to you as a solution for checking the opening torque of a bottle cap, seals and corks.